As most of you will know, I'm pretty obsessed with space. 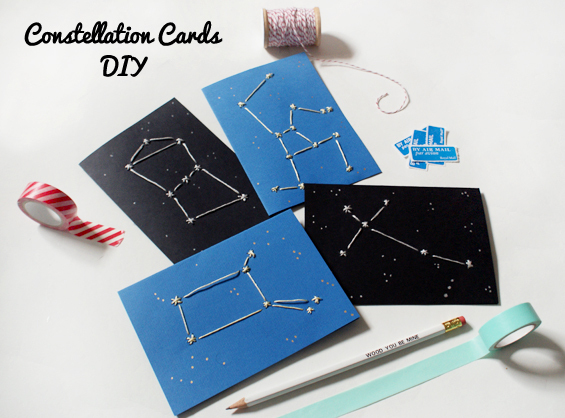 With Valentines Day just around the corner I figured there would be no better excuse to indulge in creating a special DIY inspired by my love of constellations. This one is for all you star crossed lovers... get it? 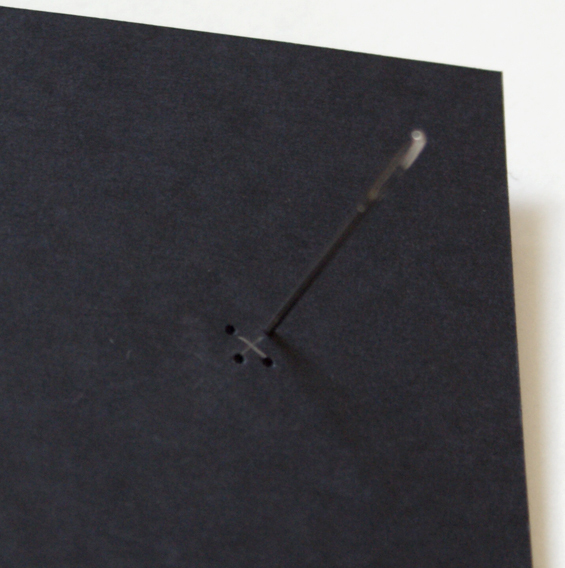 This tutorial is really simple, cheap and it only takes a few minutes to make something really special. The best part is you probably have the things you need to make it already at home. 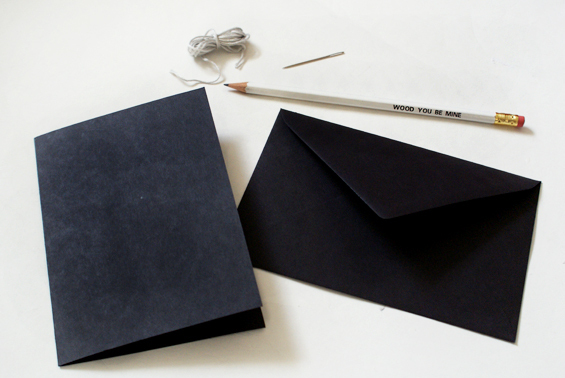 Grab yourself a blank notecard (or fold a piece of card in half), a needle, pencil and some thread. 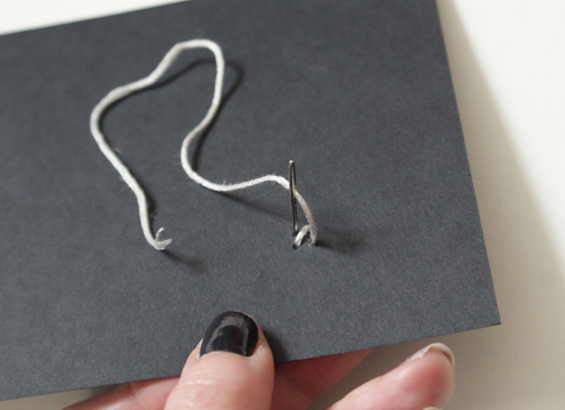 I'm using embroidery thread as it'll stand out really nicely, but you can use just about anything. 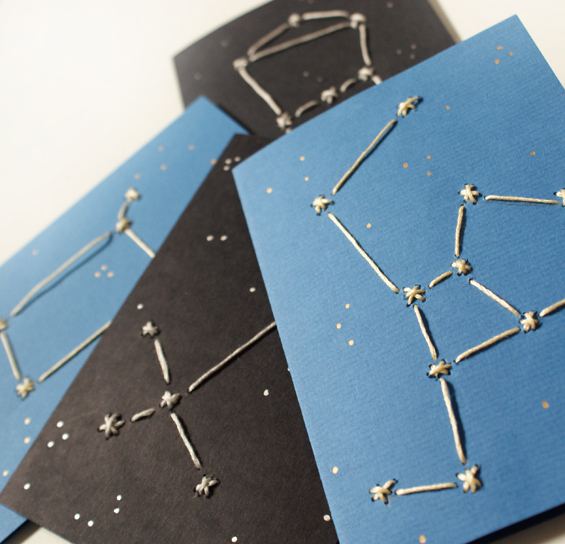 The best way to start this project is to map on the card where your constellation stars will be. 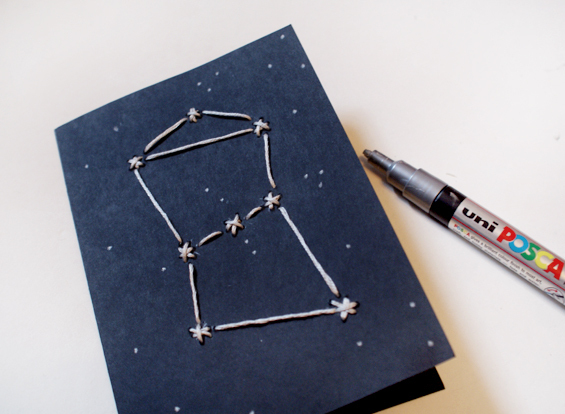 Using a pencil, mark out little crosses or stars for guidance. 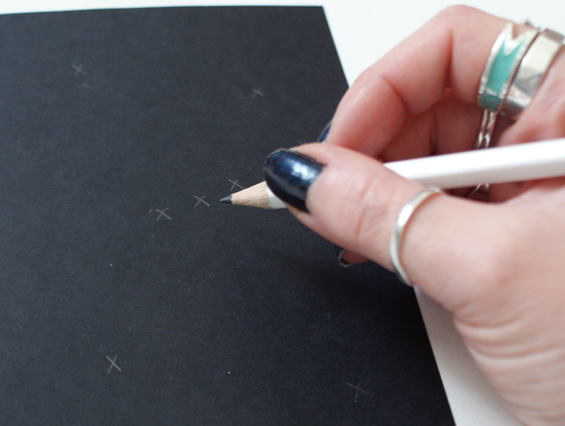 You could even join the dots to keep you right for where you're going to be stitching. 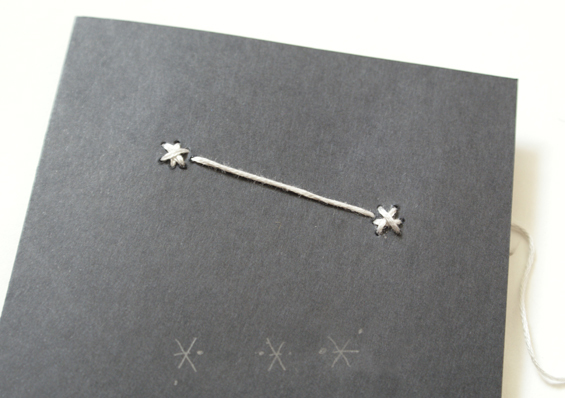 To make sure everyone can make out the constellation, it's nice to add a little line of thread between each star. I did this as I went along, but you can always fill them in later if you're not sure you want to add them. I think I'm going to make the whole set and pop them on my wall. Educational and pretty. Neat, huh! Oh, and Happy Valentines Day when it comes! 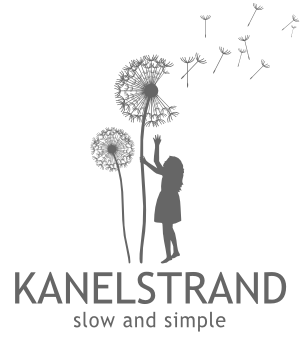 What a nice idea - thanks for sharing! Thanks for the link love, Dita! Cute idea for a card! Very cool.